Late winter is an important time for solving lawn problems. If you fix and feed now, the lawn will be in good shape for the coming summer. During winter, weeds take advantage of the lawn’s weakened state to fill every possible gap. Bindii & broad-leafed weeds can be relatively easily controlled with the help of a selective herbicide. Typical examples of broad-leafed weeds are bindii, clover, dandelions, capeweed, cudweed and thistles. Many traditional selective herbicides containing the ingredient Dicamba work well with lawn types such as kikuyu & couch, but can be detrimental to new lawns and varieties like buffalo. A simple way to remove weeds and fertilise the lawn at the same time is by using Weed’n’Feed. 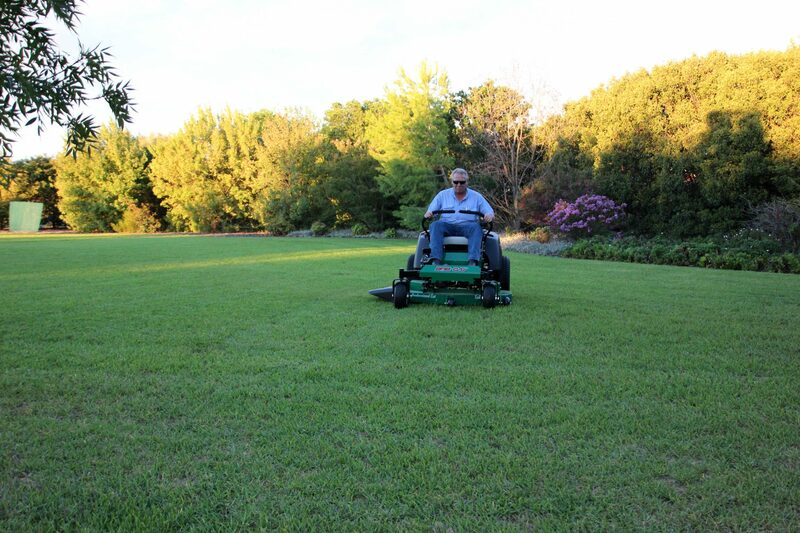 Check directions to make sure that the product is right for your grass. If you don’t know what sort of grass you have, take some samples to a horticulturist to have it identified. Late August is the perfect time to feed the lawn and, these days, the availability of slow release lawn foods means this task is much easier than it used to be. At the end of winter, soil is often compacted, so the lawn will benefit from a good spiking. Do this by energetically pushing a fork as far as possible vertically into the soil or, if you’re really keen, hiring a mechanical aerator. Thicken tired and worn lawns by oversowing with a Lawn Seed pack. These come in a few different varieties, kikuyu, couch and all season to suit different lawn types and situations.